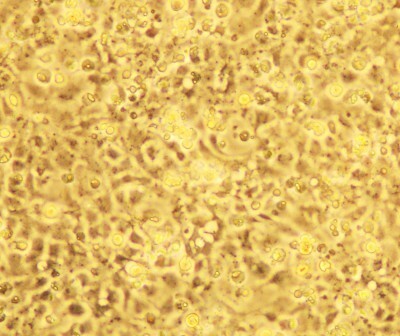 Cells used to isolate a fish virus die when infected with the picornavirus. Photo credit: James Winton, USGS. Scientists from the U.S. Geological Survey (USGS) contributed to a publication that reports the complete gene sequence of a novel picornavirus isolated from minnows and baitfish in several areas of the United States. The scientists used the molecular sequence and characterization of this virus to determine the evolutionary (phylogenetic) placement in the "family tree" of known fish viruses. The scientists then applied epidemiological analysis to show the relationship among various virus isolates (viruses with a similar genetic makeup) from different regions of the United States. 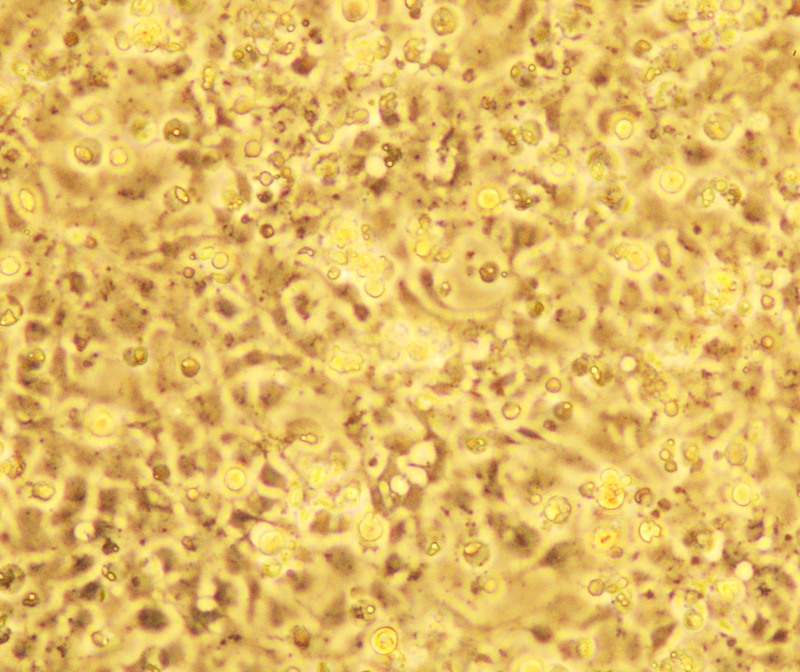 Defining the relatedness among isolates illustrates how the picornavirus has spread. The study highlights the potential spread of fish pathogens to populations of native minnows due to the largely unregulated trade in, and movement of, baitfish. The USGS Fisheries: Aquatic and Endangered Resources Program and U.S. Fish and Wildlife Service provided funding this study. Isolation and molecular characterization of a novel picornavirus from baitfish in the USA: PLoS ONE, 2014, v. 9, no. 2, p. e87593, doi:10.1371/journal.pone.0087593.